The rate of construction of new nuclear power plants will need to be accelerated if the world is to meet its future energy needs while meeting climate change goals, Yukiya Amano, director-general of the International Atomic Energy Agency (IAEA), said today. 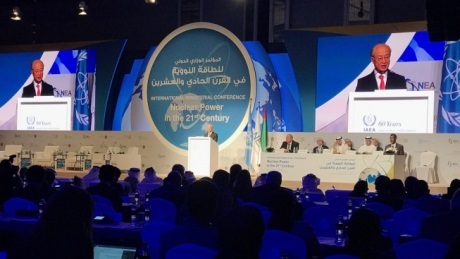 Amano was speaking at the opening of the fourth International Ministerial Conference on Nuclear Power in the 21st Century, being held in Abu Dhabi, in the United Arab Emirates. The three-day event was organised by the IAEA in cooperation with the OCED Nuclear Energy Agency (NEA). The conference is being hosted by the UAE government through the Ministry of Energy and the Federal Authority for Nuclear Regulation (FANR). It has attracted about 700 participants from 67 IAEA member states and five international organisations. The conference - which follows ministerial meeting held in Paris in 2005, Beijing in 2009 and St Petersburg in 2013 - provides a forum for high-level dialogue on the role of nuclear power in meeting future energy demand, contributing to sustainable development and mitigating climate change. "It is difficult to see other low-carbon energy sources growing sufficiently to take up the slack if nuclear power use fails to grow." Amano said, "It is difficult to see how the world will meet the challenge of securing sufficient energy and mitigating the impact of climate change, without making more use of nuclear power." He added, "In order to meet the world's growing energy needs in future, we will need to make optimal use of all the sources of energy available. It is clear that renewables such as wind and solar power will play an increasingly important role. However, more use of nuclear power will be needed to provide the steady supply of baseload electricity to power modern economies if countries are to meet the goals for greenhouse gas emissions which they set for themselves in the Paris Agreement." 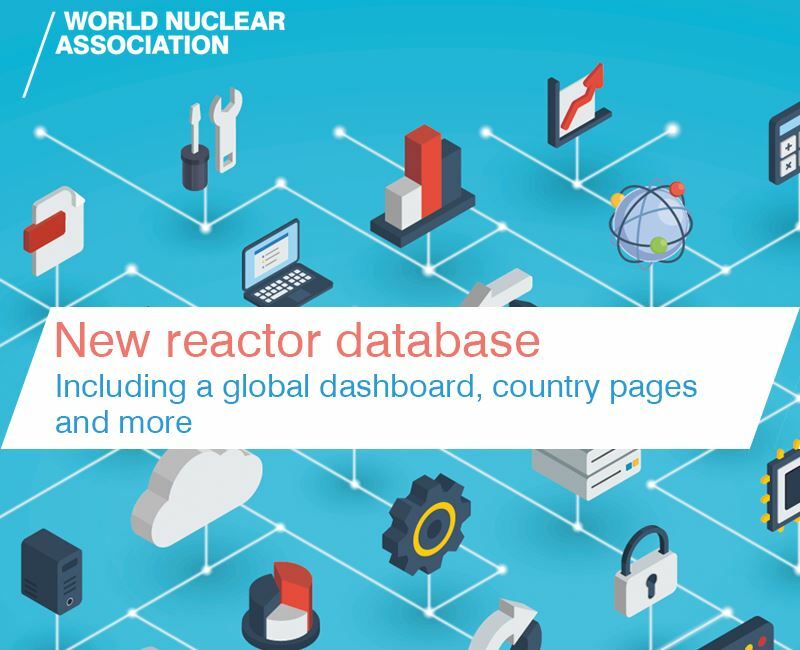 In its latest projections, the IAEA says if nuclear power's potential as a low-carbon energy source grows in recognition and advanced reactor designs further improve both safety and radioactive waste management, the use of nuclear power could grow significantly. In its high case projection, global nuclear generating capacity increases from 392 GWe at the end of 2016 to 554 GWe by 2030, 717 GWe by 2040 and 874 GWe by 2050. Nuclear's share of global electricity generation would increase from the current level of about 11% to 13.7% by 2050. This projection - which assumes that current rates of economic and electricity demand growth, particularly in Asia, will continue - reflects that 30-35 new reactors are expected to be grid connected annually starting around 2025. "Clearly, the pace of construction of new nuclear power plants will need to be stepped up if the world's future energy needs, as well as climate change goals, are to be met," Amano said. "It is difficult to see other low-carbon energy sources growing sufficiently to take up the slack if nuclear power use fails to grow." NEA director general William Magwood said, "International cooperation can no doubt ease the path forward toward a clean, affordable and secured energy by addressing collectively the major technical, economic and political challenges with a focus on both today and the future." The UAE announced it is to establish a "Collaborating Centre" with the IAEA at Khalifa University of Science, Technology and Research in Abu Dhabi. The agreement marks the beginning of a four-year period of close cooperation between the university and the IAEA on implementing activities in the field of nuclear power infrastructure and human resources development, the IAEA said. In particular, Khalifa University will support IAEA activities on enhancing member states' capabilities in building and assessing the infrastructure required for a nuclear power programme, as well as developing critical competencies required for infrastructure development. 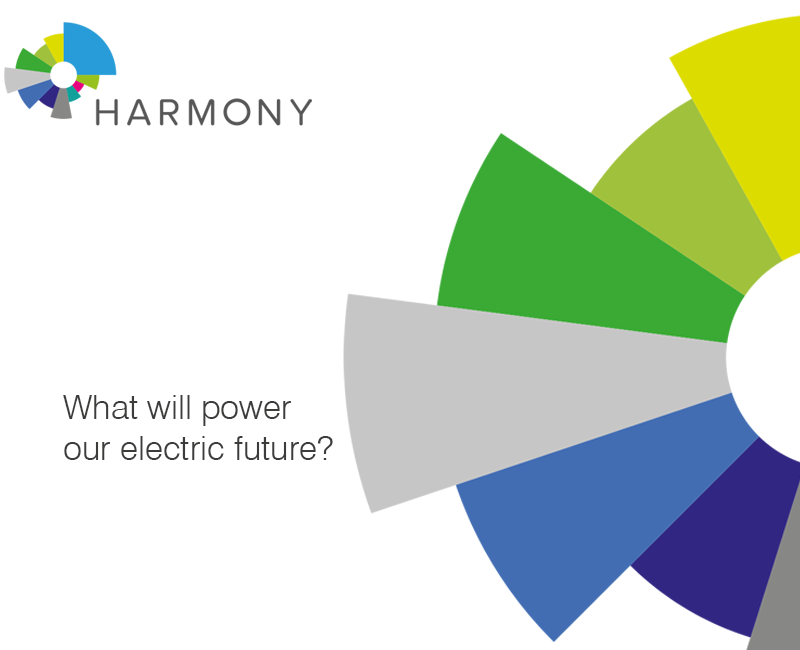 The nuclear industry has set the Harmony goal for nuclear energy to provide 25% of global electricity by 2050. This will require a tripling of nuclear generation from its present level. Some 1000 GWe of new nuclear generating capacity will need to be constructed by then to achieve the goal. 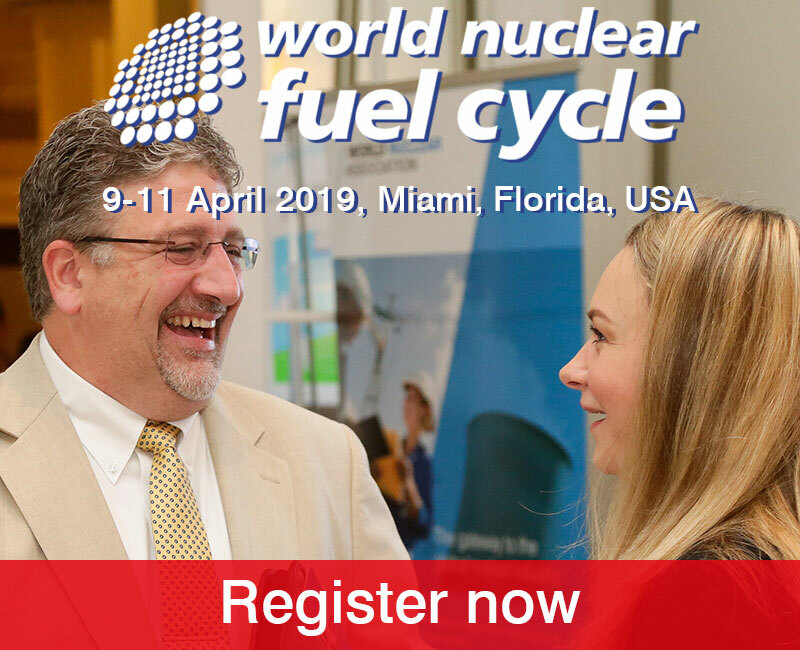 World Nuclear Association Director-General Agneta Rising told the conference: "Nuclear generation is a competitive option, but barriers are preventing nuclear generation from making the full contribution that is needed. Removing these barriers is essential to achieving the Harmony goal." The Association has identified three areas for action to achieve this: establishing a level playing field in electricity markets, building harmonised regulatory processes, and an effective safety paradigm. 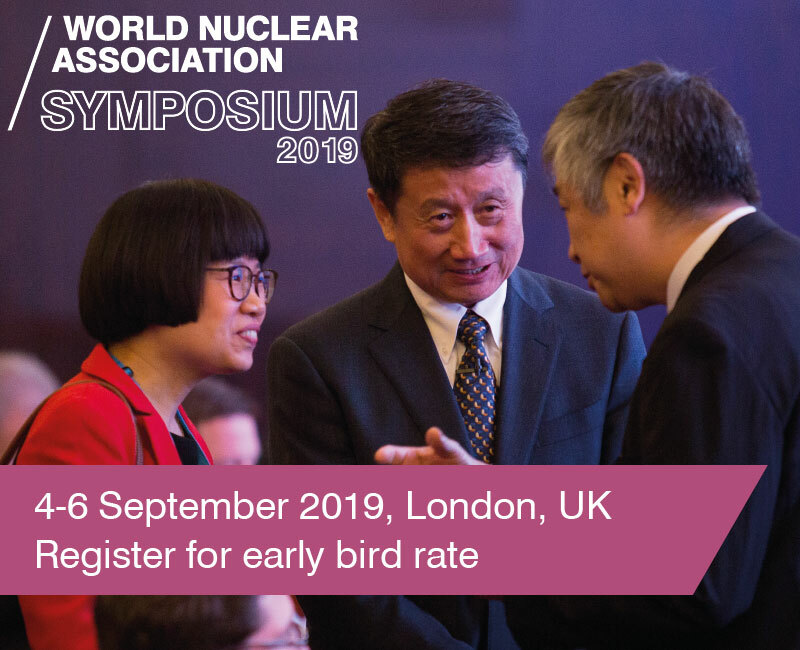 Rising added, "We in the nuclear industry are keen to support governments to meet their energy policy objectives and solving the environmental challenges. And governments will be key in removing the barriers that prevent them from fully benefiting from nuclear energy's proven 24/7 low-carbon contribution." UAE Minister for Energy and Industry Suhail Al Mazroui said: "No doubt, nuclear energy will have an important part to play in addressing one of the key challenges facing the world in the 21st century - securing reliable, efficient and sustainable supplies of clean energy." He noted that nuclear energy forms an "essential part" of the decarbonisation of the UAE energy mix. "The UAE is committed to using nuclear energy to materialise our national developmental needs," he said. Emirates Nuclear Energy Corporation CEO Mohamed Al Hammadi noted, "The International Ministerial Conference gives us a great opportunity to collectively engage in high-level discussion on how we can meet future energy demands through peaceful nuclear energy. 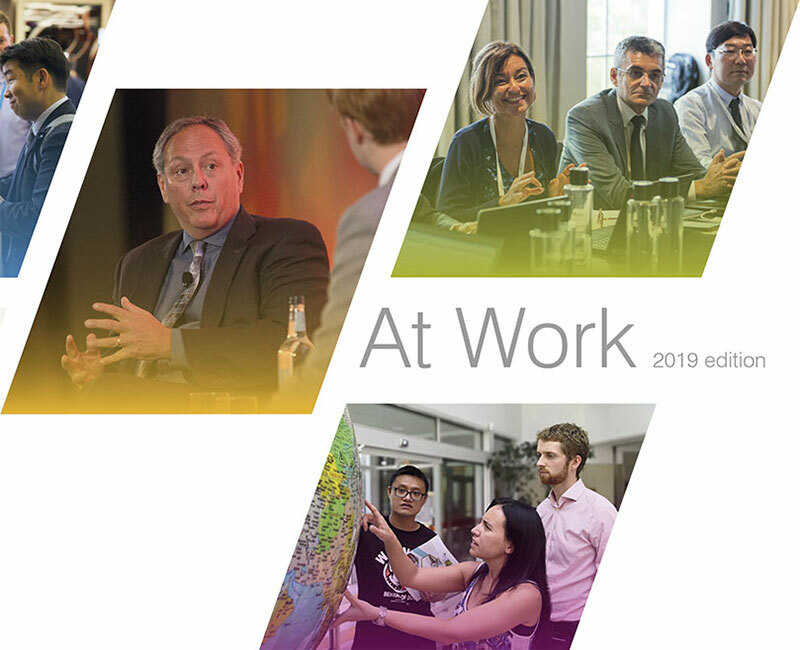 We want to ensure that as an industry we continue contributing to sustainable development, as well as driving economic growth and creating highly-skilled jobs for a talented workforce."